Suzanne Chapman, at userslib.com, has the interesting tag Pageturners. This term has been used to describe eBook systems that allow the user to have the feel of actually turning the pages of a print book, by clicking an icon or by using the mouse to mimic the motion of turning a paper page. Like Chapman, I’ve thought of “Pageturners” as a sub-category of eBooks, and have searched in Google for the concept/term. It turns out this is a difficult search term because it gets confused with use of the word to describe “a book so good you can’t put it down.” So use of the word to describe an eBook is, in a way, a cute play on words, but Google doesn’t do well with double-meanings! Aside from the difficulty of searching, though, the concept is a valid one, and it’s useful to have Chapman’s links on it, especially in this posting and in her Delicious links. Actually, I think I can see in Chapman’s lists that the meaning of the term has evolved in her mind, and I suspect also in the shared mind of the Net. In what seem to be her earlier links, the sites she links really were “pageturner” eBook systems, which tried to simulate the feel of turning pages in a print book. But other, seemingly later, links seem to broaden the concept to include eBook viewing systems that get away from the idea of simulating print books. Likewise, on the Net generally, at first it seemed like the goal in designing eBooks was to make them feel as much as possible like print books. But as we get used to the idea of eBooks, it becomes clear, I think, that the best way to design eBooks is not the best way to design print books. Print books have advantages, and eBooks have different advantages. 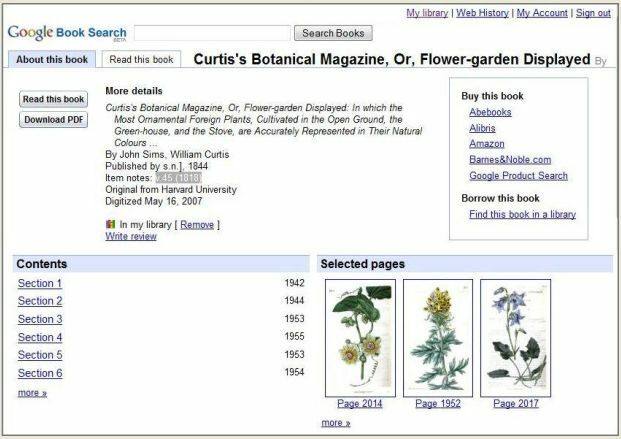 The real challenge of designing eBooks is how to convey their nature and content in the small amount of screen space of a computer window. … Which is not to say that the Google Books About this book – Intro screen is perfect. But for now it has set the standard. PS to Suzanne Chapman: Thanks for confirming my idea that “Pageturners” is a good tag — I’m adding it too. Though I think it’s an “old design” idea for eBooks, I suspect it will continue to be around for a while more. Posted in eBooks, Google Book Search, Navigation, Pageturners, PicsYes, Uncategorized.